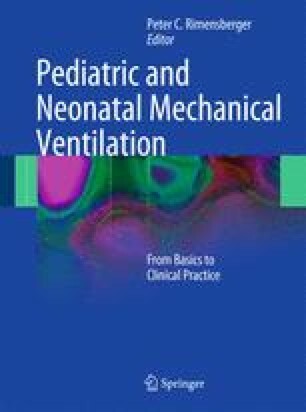 Most mechanical ventilators in neonatal and pediatric intensive care units provide continuous monitoring of respiratory variables as well as a graphical display of gas flow, tidal volume, and airway pressure. Routine analysis of these waveforms is an important aspect of the assessment of patient-ventilator interactions and should be used to optimize mechanical ventilatory support. The ventilator can be titrated using airway graphics and waveforms to improve patient-ventilator synchrony, reduce patient work of breathing, and calculate physiologic parameters related to respiratory mechanics.